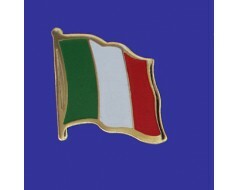 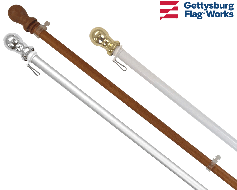 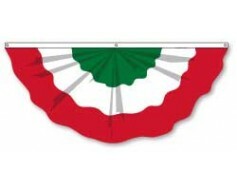 High quality outdoor Italian Ensign flag. 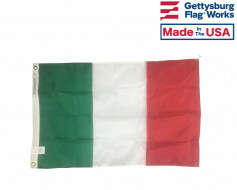 Printed nylon with header & grommets for mounting. 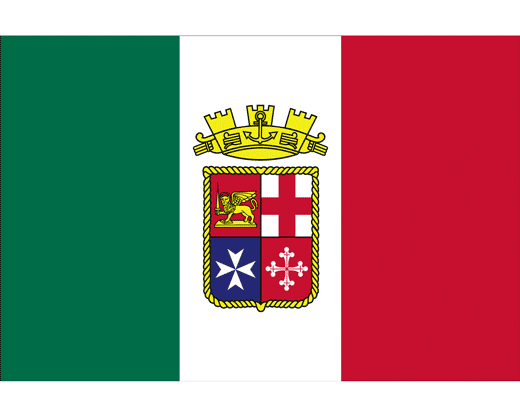 The Italian Ensign, or Navy Ensign is the flag of Italy with a naval crown and a shield divided into four squares representing the four Maritime Republics: Venice (represented by the lion, top left), Genoa (top right), Amalfi (bottom left), and Pisa (represented by their respective crosses).